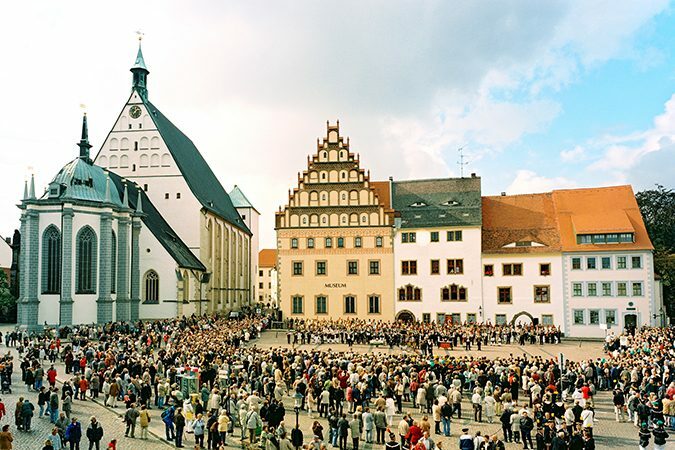 The site of the first silver find in Saxony in the 12th century became a settlement that grew into a metropolis of the Middle Ages. You can still feel the medieval character of Freiberg, especially in its well-preserved town wall. On the Upper Market there are proud town houses with high roofs, while the Lower Market is dominated by the externally unassuming cathedral. Its unique art works include the Tulip pulpit, the Golden Gate and the Mannerist chancel, once the burial site of the Saxon rulers, dominated by the impressive Moritz Monument. The famous organ builder Gottfried Silbermann (= silver man!) 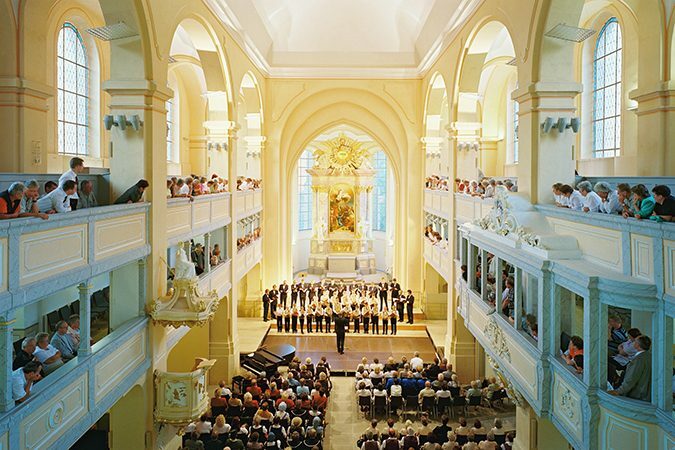 had his workshop in Freiberg and the excellent sound of two of his organs can be heard in the cathedral. 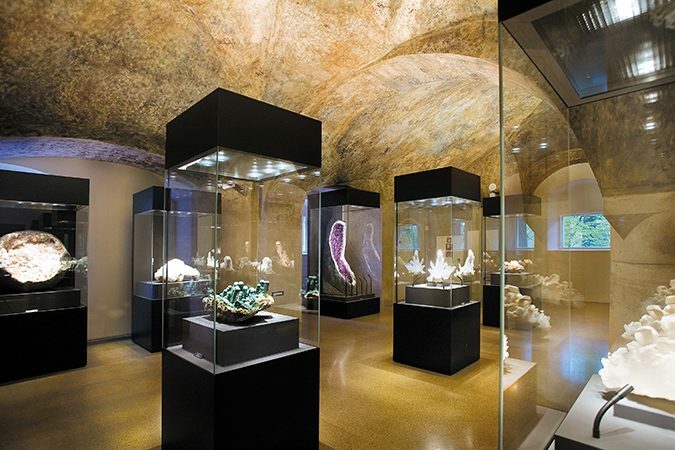 The finest collection of minerals in the world can be found at Freudenstein Castle. They were collected from all continents only for their beauty by a member of the family which used to own the Wella hair care company which, like so many other well-known German companies, originates from Saxony. Even skeptics are amazed by the enormous variety of the minerals. The most valuable can be found in the treasure chamber. One centerpiece of the Asian collection is a large Shivalingam from India. After 800 years, mining in the aptly-named Ore Mountains region of Saxony became unprofitable. But Freiberg has remained true to mining: the Mining Academy of Freiberg, the oldest academic institution of its kind in the world and now a highly respected university, runs a teaching mine that is also open to visitors. Like other monuments to Saxon mining, it is part of the Silver Route leading from Zwickau to Dresden. And the traditions of the miners are very much alive. 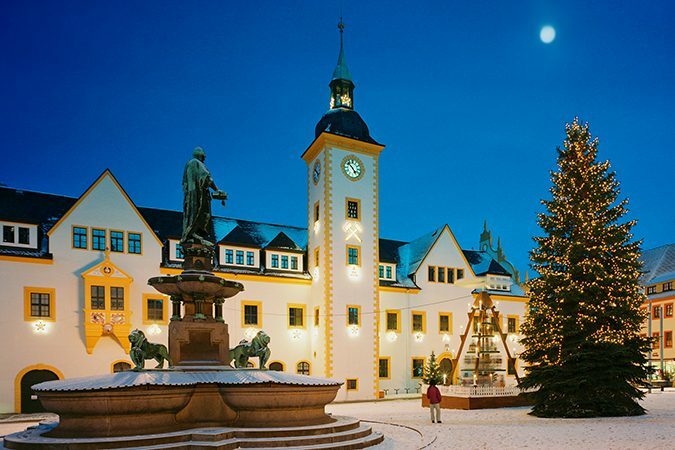 The miners’ parades are a major attractions and it is mining that has given Christmas in the Ore Mountains its unique character.